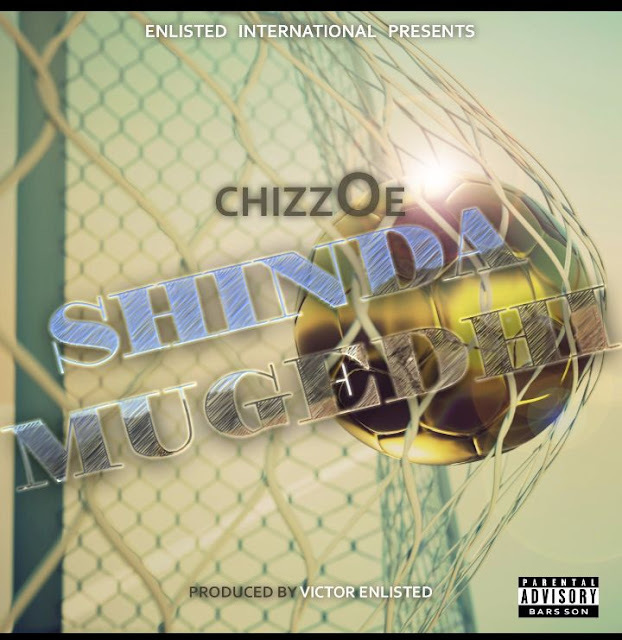 I first heard Chizzoe on a joint last year when he dropped Bizzoe celebrating everything turn up.Since then he has continued to impress mostly on features produced by Norton based Vic Enlisted.He opened up the year by going toe toe with Sharky and Don Cavelle on Garai Pasi before he killed his verse on Pombonoka remix.For the longest time we were waiting to see how he would perform on a solo tip and his latest joint Shinda Mughedi has just proved what we long suspected,dude really has that Class 1 licence when it comes to navigating his way around bars.The joint was recorded in Norton at Enlisted International and the beat and mastering are on point. I've read somewhere that there is a close relationship between rappers and ballers with the other wanting to be the other and vice versa.Chizzoe exploits this to the fullest likening his entry into hiphop to entrance into a soccer match.The song is riddled with football related metaphors some of which might escape the ears of less keen ears.Peharps reffering to how he has shined on features Chizzoe claims the super sub who always impresses title.But he also wants one thing to be clear,he is a lone gunmam who has scored singlehandedly without any assists even rapping that he will make it alone he doesn't need no assists. This is the level of talent that can take Zimbabwean hiphop to the future and it will be interesting to see were Chizzoe will go from here.